It seems like the 2012 Presidential Election is coming up any day now with all the talk about the candidates putting their name in the running already. President Barack Obama was the first to do so when he announced his intent to run for a second term. Then Jesse Ventura, the former governor of Minnesota, said he would run as the running mate of Ron Paul if he would run as an Independent instead of as a Republican in November of 2012. Now, another name is in the running as Mitt Romney, the man who was once the governor of Massachusetts, said that he is going to run for President of the United States once again in 2012 as a Republican. Romney’s video suggests that his intent will be to mainly turn the economy around as it is clearly the top concern most Americans have. Romney has already begun speaking to potential voters in New Hampshire, where the video was recorded. New Hampshire is the first state in the nation to hold primary elections and is thus a top priority for candidates. 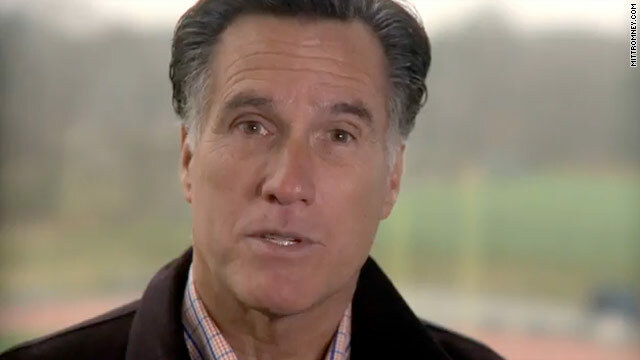 Romney hopes to begin to collect funds to pay for his campaign soon. Romney has already filed with the Federal Election Commission, just like President Barack Obama has. Other names potentially running in 2012 as well are Tim Pawlenty of Minnesota, Buddy Roemer of Louisiana, and Herman Cain, who was once the CEO of Godfather’s Pizza. All three men are Republicans. It is clear that the fight for the Republican nomination is going to be between numerous candidates who all represent similar views. It is going to be tough for any one man or woman to stand out without bringing revolutionary ideas to the table. The big issue this time around is going to be the economy. As the economy continues to struggle, the question is which candidate do the citizens of the United States trust the most to get the economy fixed?